The Porcupine is dead, long live the Porcupine! 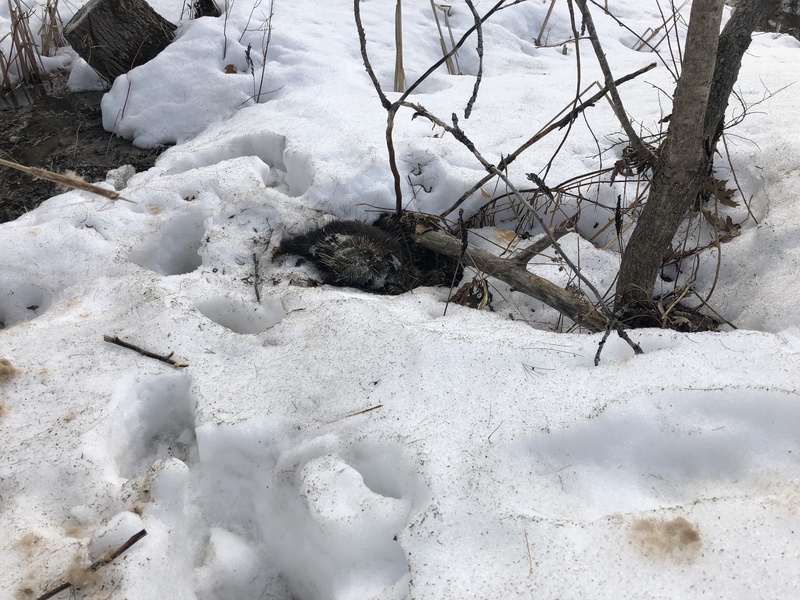 Robin stumbled upon our much cherished porcupine in the woods… It was the land’s mascot, had just come out of one more tough Winter, we thought it was made of steel, and that it would outlive us all. Tough to tell what happened to it, I’m not even sure what porcupines can die of besides old age. We’ll set the trail cam back on it’s house to see what’s going on there now.